The Fitch Fuel Catalyst Australia fuel treatments for marine engines have been designed to improve the combustion process in most engines, including vessels for marine applications. When an engine burns fuel more efficiently, consumption is reduced and expenses are saved. Sailors, power-boaters, fishermen, tugboat pilots, ferry captains, and fleet operators have all used the Fitch Fuel Catalyst marine fuel treatments and reaped the rewards. 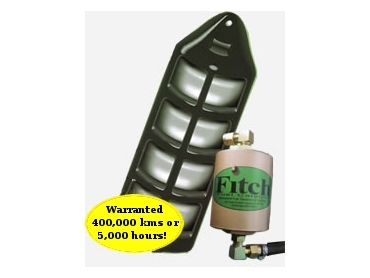 When a Fitch unit is installed on a vessel, the owners can expect to see increased horsepower and speed, cleaner exhaust, a reduction in fuel-soot contamination in the oil, less overall wear on engine components and an elimination of algae growth and diesel bug in the fuel tank. All this means lower maintenance and repair costs and longer engine life.